Emona Instruments offers a range of 3D printers from thermoplastics and composite carbon fibre to metals and aerosol jet multi-materials. 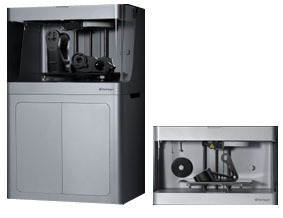 MarkForged Mark Two and Mark X printers are the world’s first 3D printers designed to print composite materials. Now you can print functional parts, tooling and fixtures with a higher strength-to-weight ratio than 6061-T6 Aluminium. Now you can print in carbon fibre and achieve the incredible strength of this material as used in aircraft, rockets and Formula 1 motor vehicles. The Markforged are ideal for printing parts for autonomous vehicles, drones, solar and renewable energy vehicles and any projects where strength and durability are critical to the performance of the printed part. 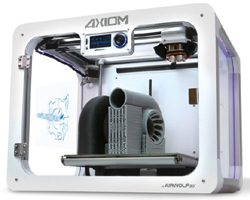 The Airwolf 3D Axiom range are professional thermoplastic material 3D printers available with single or dual extruders. 40+ Materials: from general purpose PLA, flexible TPU and smooth Nylons to rigid and durable Polycarbonates. AXIOM's 315 degrees C hot ends offer the flexibility of 40+ materials without replacing the extruder. Auto Leveling: eliminates errors with manual leveling and ensures optimal bed leveling and head spacing before every print. "Easy Feed" Filament System: draws the new filament into its print head automatically, reducing jamming and blockages. 40 Microns Resolution: exceeds products more than twice the price with fine detailed layers and minimal striated appearance common in lower performance printers. 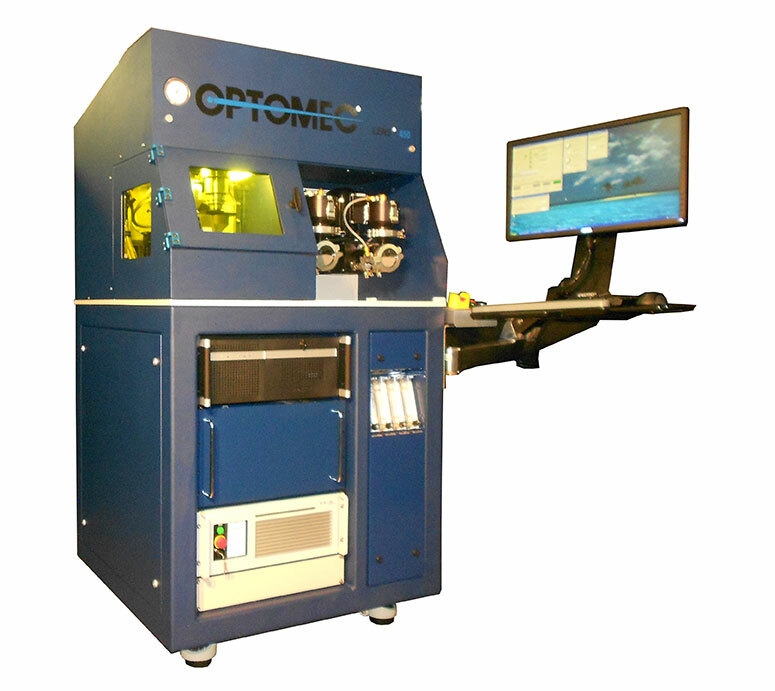 Optomec’s breakthrough Additive Manufacturing and 3D Printing technologies are spearheading next generation products in Aerospace, Defense, Electronics and Biomedical applications. These products are highly differentiated for several reasons: the breadth of materials supported – from structural metals to printed electronics and bio-materials; and, the features these products can produce - from microns to meters. Aerosol Jet Technology: Aerosol Jet systems have the unique ability to directly print a wide range of electronic and biological materials onto almost any substrate. Application areas include the repair and manufacture of: Display Electronics; Antenna and Sensors; Flex Circuits; and Biological materials. LENS Technology: LENS systems utilize high power laser processing to fabricate and repair high value metal components in materials such as titanium, stainless steel, nickel, cobalt and other engineering alloys. 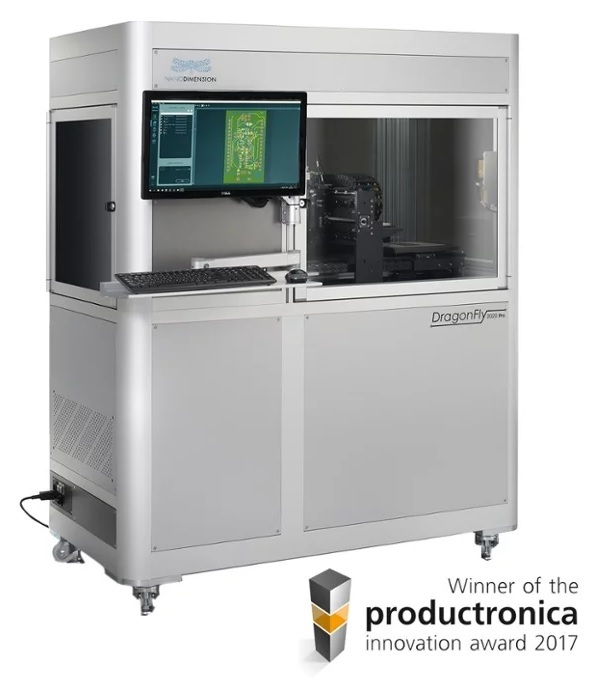 The DragonFly 2020 Pro system brings together an extremely precise inkjet deposition printer, high performance silver nano-particle conductive and dielectric inks as well as dedicated software, in order to bring the benefits of 3D printing to electronics professionals. Simultaneous 3D printing of conductive silver nanoparticle ink (metals) and insulating inks (dielectric polymers).